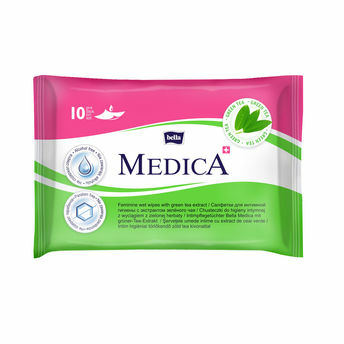 Bella mild and skin friendly wet wipes for daily hygiene of intimate areas. Best for using in public washrooms and especially during periods. A must-have when travelling as it neutralize intimate smell and moisturizes the skin. Thanks to neutral pH the natural protective barrier of the skin remains intact. These wipes are Parabens and alcohol free. They make you feel fresh and clean immediately, so it is super easy to use, anytime, anywhere. It has a comfortable clip closing that keeps the wipes hygienic.